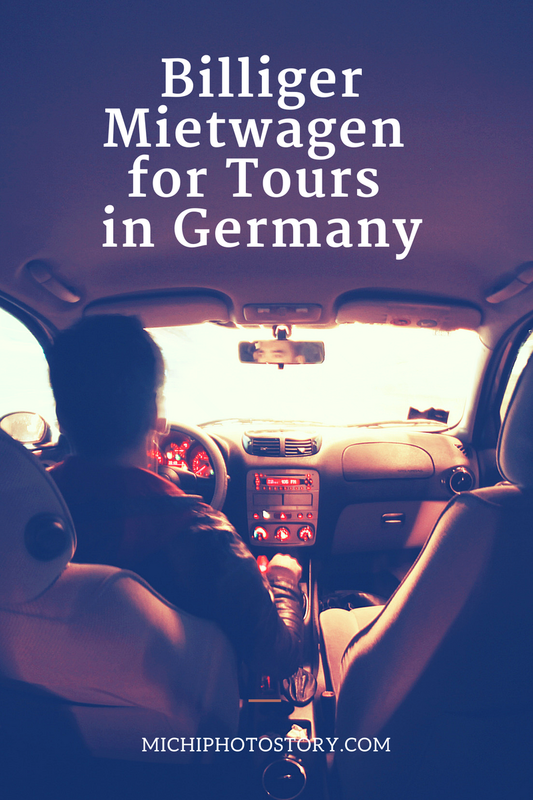 Browsing for websites online is the best way to look out for billiger mietwagen agencies in Germany. It would be a good idea to do the reservation days in advance of the trip in order to get the best deals. There are a large number of car rental agencies located in different cities in the country. This might confuse you but a more in-depth qualitative search will bring out the best billiger mietwagen agencies in the country. Apart from the diverse range of cars from sedans to economy cars, there are attractive offers provided along with the cars at affordable costs. Chauffeur services are also available with these car hire agencies. A service that is found in most of the car rental agencies is the system of accident waivers. In this way, if an accident happens without your knowledge during the period of hire, you will not be forced to pay the excess charge. This is a leniency that is not found in other countries. Breakdown assistance is another service that’s provided to the customers. Apart from the tourists, another section of people who make regular visits to the country are the businessmen. They have the conferences and seminar sessions that happen every month and they avoid the ignominy of having to use public transportation. The business conglomerates thus book the best billiger mietwagen agencies in advance and they use them whenever they are in the country. So what are you waiting for? Go online and make the reservations as fast as possible. 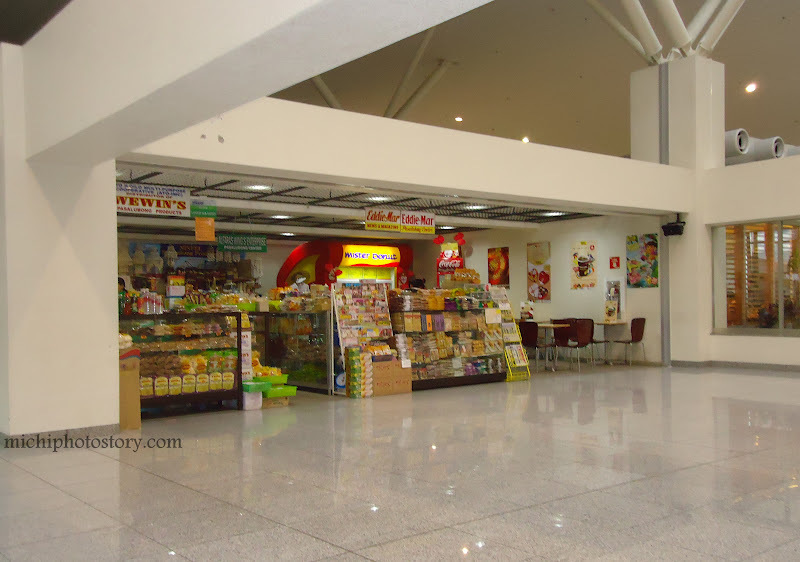 Hubby: masarap kaya and sikat yan, dami nga pictures ng artista na nakapost sa store nila. 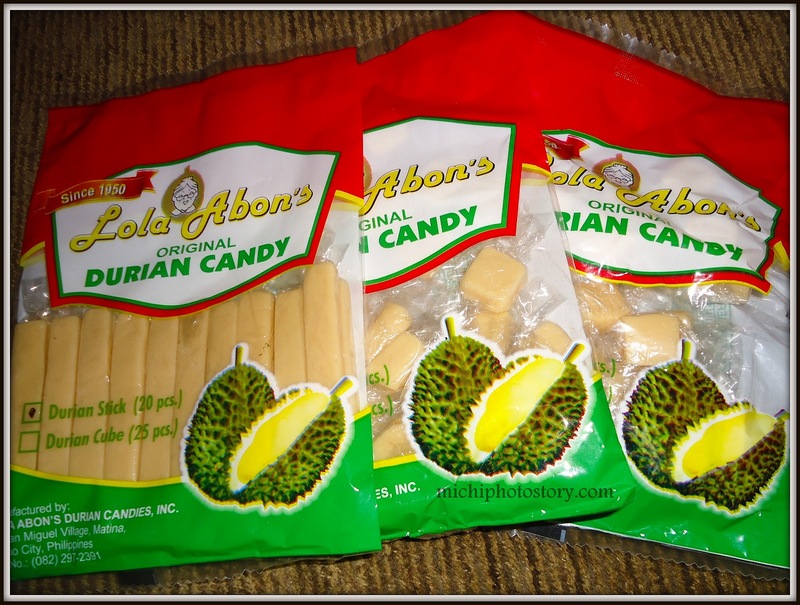 I google it and true enough, Lola Abon’s has the best durian candy in Davao. Well, the only thing I like from Davao is suha and pastel. 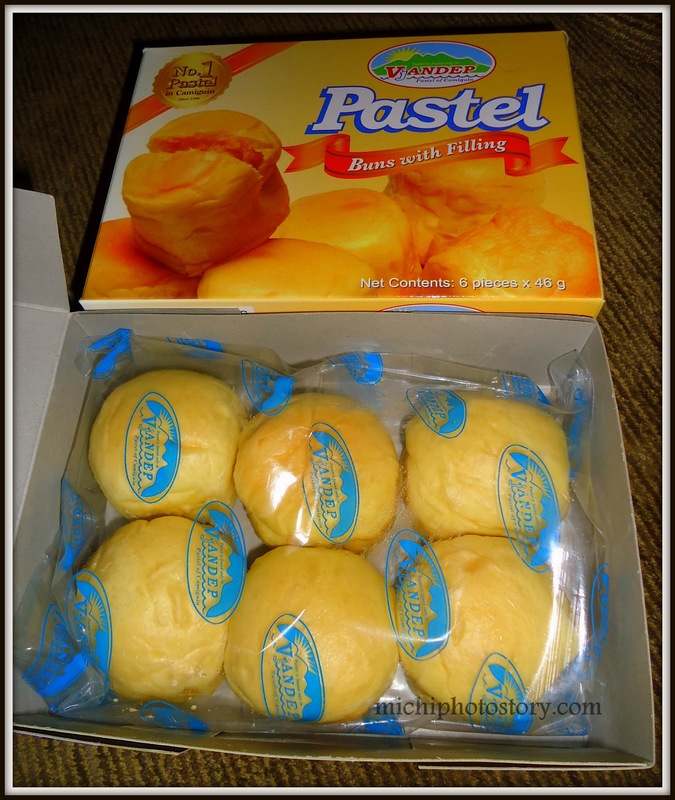 Yes, I know that pastel is Camiguin’s delicacy but since this is my favorite, it is a must for him to buy pastel wherever he goes, as long as it is available. I do not like stuffed toys, for me they are dust collector item. I really appreciate if someone gives me flowers but I rather receive letters, cards, chocolates or anything that I could keep, use or eat. Flowers are so expensive and for me, it is just a waste of money, it won’t stay long. I am a meat lover so diet is not for me. I have no vices. I am so thankful that my husband has no vices too. I am not into sports. P.E. is my least favorite subject. I don’t have any sports, I am afraid of ball games. I hate waiting. It really ruins my day when people make me wait. Time is gold. I am not an O.C. person but I want everything to be organized. I always have my “to do or to buy” list whenever I go out. I always have a grocery list and weekly menu list. I don’t know how to drive a car. I’m scared to learn. I am not a good swimmer but I love going to the beach and swimming pool. I’m practicing “minimalist living” less stuff and less furniture. I weed out our closet, twice or thrice a year. I eliminate all clothes that do not fit me and clothes that I rarely use; I do the same thing with my husband and son’s closet. We only have limited space so if ever I will buy something, I need to let go of some stuff. 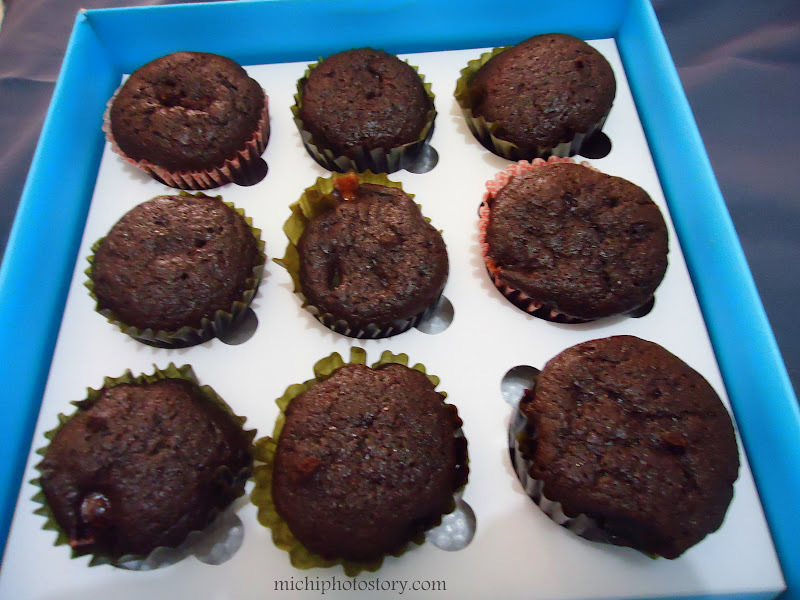 I give them to relatives or someone who needs them. Some of my son’s pre-loved stuff, I sell it online. I’m practicing “green living”, I really practice reduce, reuse and recycle. Every month we go to junkshop to sell our junk (papers, boxes, plastic, bottles, tin cans and anything that we can sell). All earnings go to my son’s savings account. I’m not a fan of throwing big birthday parties. I do not enjoy the preparation so when my son celebrated his 1st birthday, I just went to McDonalds to avail their birthday package. Less stress and less hassle for me. I love to cook but during holidays and birthdays, I do not want to cook. I rather eat out or take out some food for our Noche Buena or birthday celebration. Less stress and less pressure for me. One more thing, I want to eat different food no, my own dish. (“sawa na ko sa luto ko”). I’m not into fashion, jewelry, gadgets or any material stuff; I don’t care about the brand, what’s in and what’s not as long as I am comfortable with my clothes. I don’t mind if I do not have the latest gadgets and if I don’t own a branded bag because I love to spend my money on experiences. Blessed are those people who can afford to travel and buy branded stuff. I love to travel, how I wish I can do it often. I do believe that you don’t have to be rich to travel; you can see and experience the world in a budget. Traveling makes me happy. Nakakatawa lang because when I was still working I have the money but I have no time to travel because of my limited vacation leave but now that I am not working, I have all the time in the world but I have a very limited budget. Hahaha! I also believe that you have to enjoy your hard earned money, di na lang puro save because when you die, you can’t bring your money. 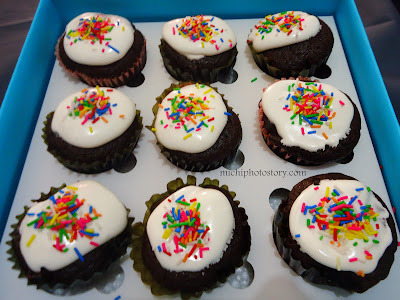 (sayang!). So enjoy life! Believe me, there are a lot of things that you can learn and understand when you travel. (parang dami ko ng napuntahan noh?) hehehe! 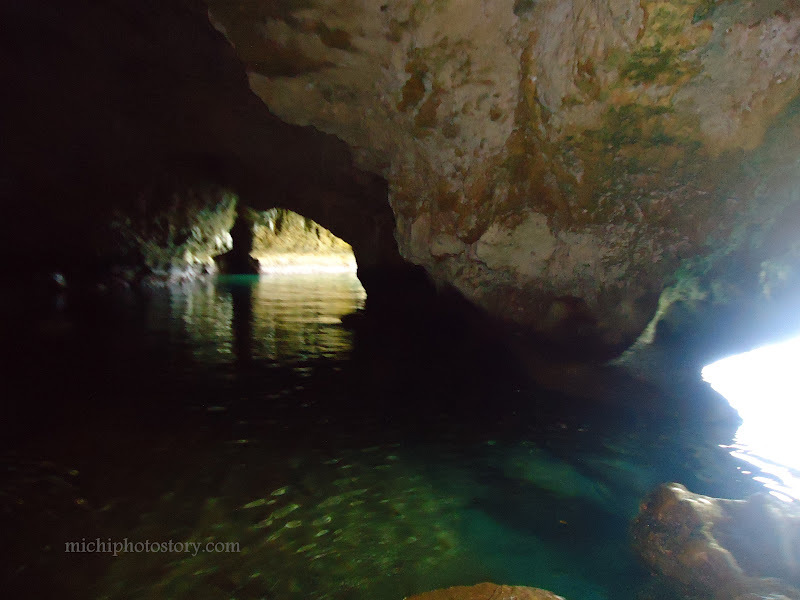 I always bring a camera wherever I go (travel) because I love pictures, pictures, and pictures. 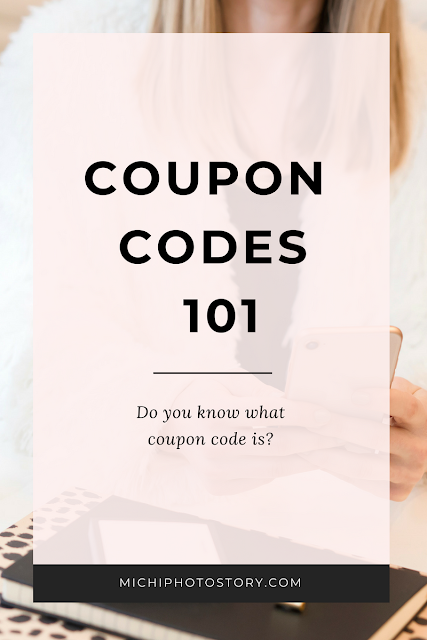 Do you know what coupon code is? If your answer is no, don’t feel sad because I also have no idea about this. Whenever I check my twitter page, Facebook news feed, and even Google reader, I always see this coupon code and I feel so outdated so I made my research. Here is some information that I’ve got. Coupon code serves as a ticket that allows consumers to avail discount or rebate. 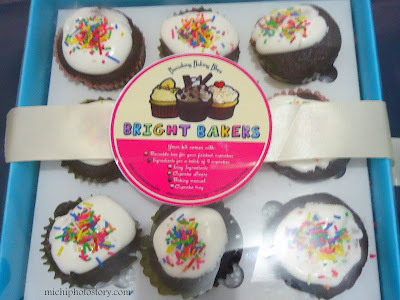 Consumers can avail of free shipping, free giveaways, buy one take one promo or discount on their purchases. 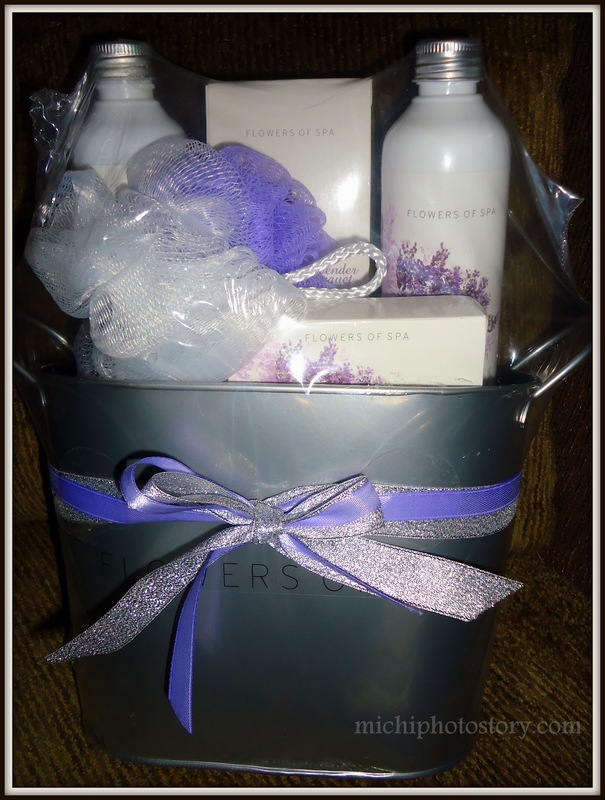 The coupon code is a combination of letters and numbers that shoppers use to avail discount online. Where can I get this coupon? You can get this coupon from newspapers, magazines, mail, coupon envelopes and of course internet. The Internet is the easiest way to get coupon codes, you can grab this from the merchant’s website, email newsletter or affiliate programs. If you have the coupon code, all you need to do is enter the code and submit but merchants have different places where shoppers can enter the code, sometimes it is in shopping cart or order review page. If you are still clueless you can always check the FAQ page of the website to ensure that you’re on the right track. 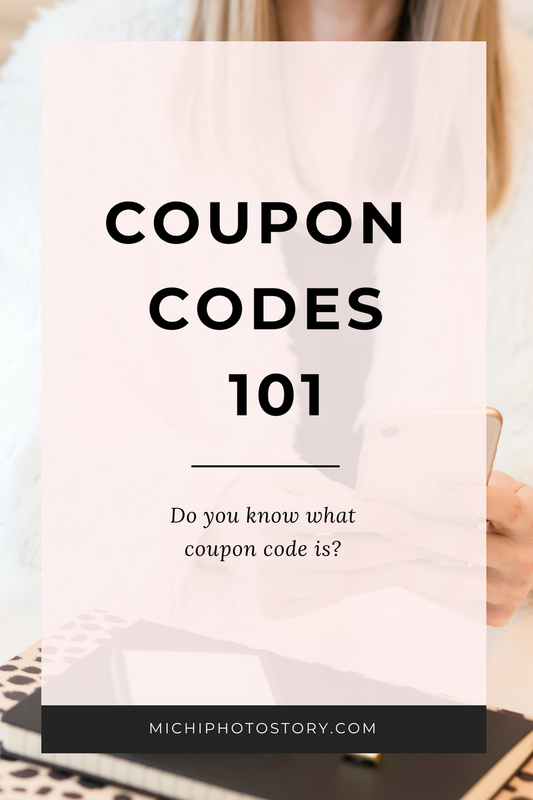 Most of the online sellers are offering coupon codes to attract first-time shoppers and to give incentives to their loyal shoppers. If you are budget conscious consumers like me, you can take advantage of this because there are savings with coupon codes. 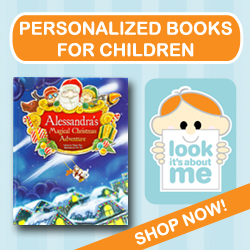 It is very popular in United States but there are coupon codes that can be used worldwide. If you are online shoppers, feel free to check popular Bloomingdales coupon code. Bloomingdale’s online shop is now shipping to the Philippines. 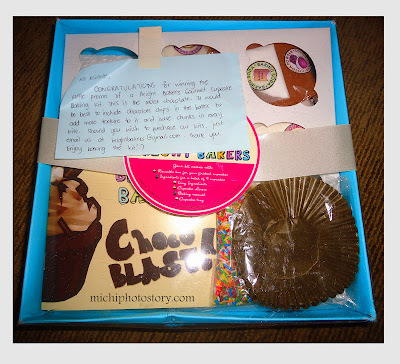 You know that I love joining giveaways but for a change I will be having my first blog giveaway contest. My mom and I decided to have a joint giveaway; one winner will receive these prizes: 1 set of Flower of Spa and 1 set of hand wash and hand lotion. 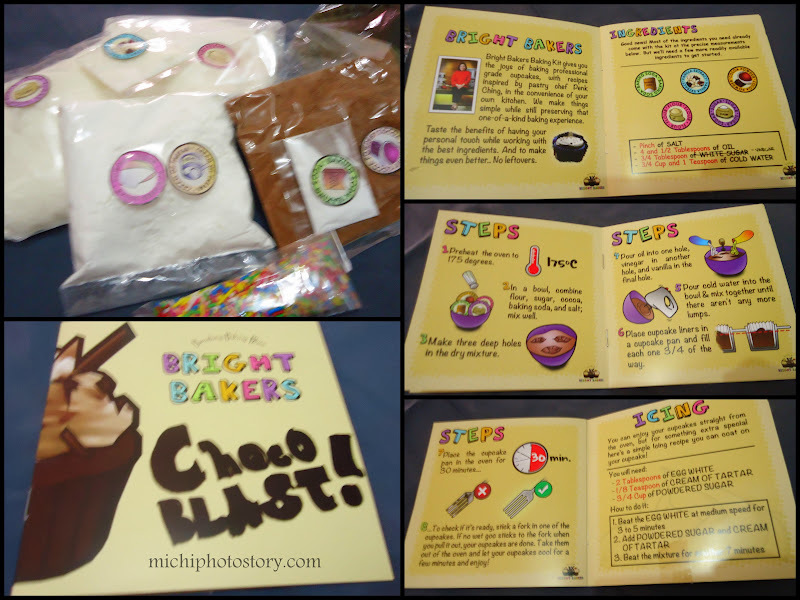 The contest is open from March 18 to March 31, 2012 and it is open to all who have Philippines address where I can ship the prizes. London is considered the world’s most visited city. There really is no doubt about that; after all, even little kids know about London as they sing the famous nursery rhyme, “London Bridge is Falling Down”. A lot of people dream of visiting this place because it is the home of four World heritage sites and famous landmarks. London’s most visited attractions include Madame Tussauds, Victoria and Albert Museum, National Maritime Museum, Tower of London, Science Museum, Natural History Museum, Tate Modern, National Gallery, British Museum, and London Eye. I personally would love to visit Palace of Westminster, Westminster Abbey, and Buckingham Palace. Planning an itinerary is difficult because London has way too many tourist attractions. 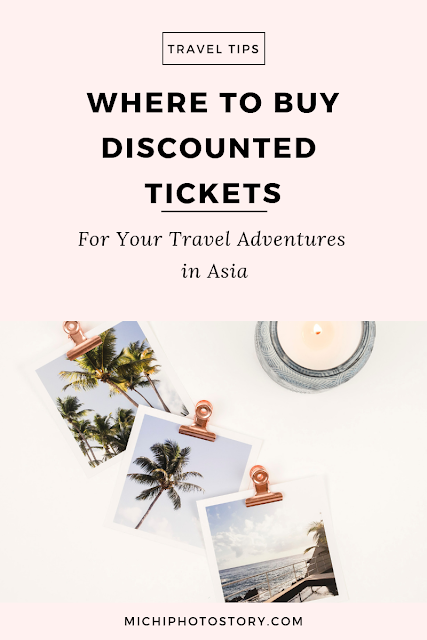 Most of the time, tourists try to get in touch with different travel agencies to avoid the trouble of having to plan everything. Getting the service of a reputable and trusted travel agency makes it much easier to enjoy London because all that is needed is for one to pay and follow the tour guide. Oh, and there is always the option of availing of a taxi tour if you do not want to join group tours. Believe it or not, you can hire a taxi to tour you around London. Whether you have limited time or you have the entire day, you can enjoy London with the help of taxi tours. You have the option of choosing your own tour: day tours, popular tours, themed tours, city tours, or limited tours. It all depends on your time and budget. Taxi tours can accommodate up to five people – the more, the merrier because the rates are per taxi. Therefore, taxi tours are a good choice if you’re bringing along your family or a group of friends. DIY travelers want to plan their own itinerary according to what interests them, and also according to their budget and time. 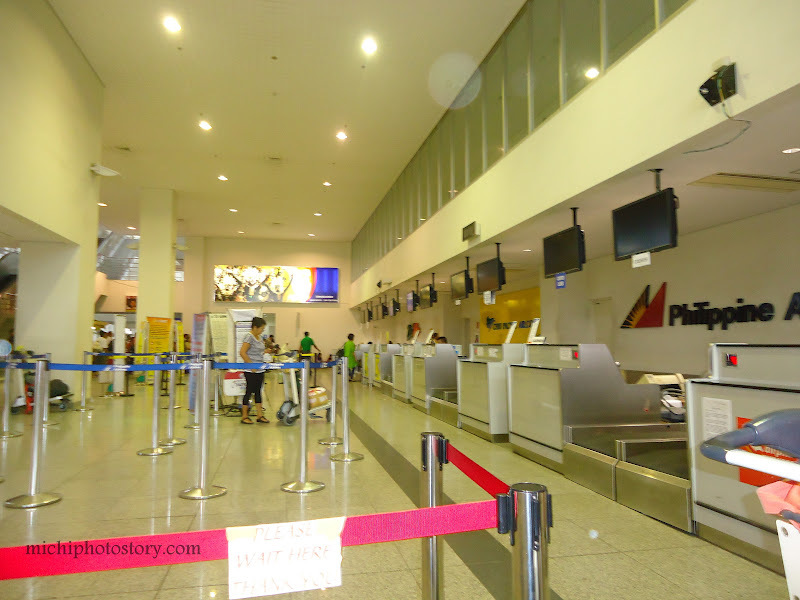 They feel that they can maximize their time and save more money if they travel on their own. There is no problem in touring London on your own as long as you can speak the language. In addition, London is a very tourist-friendly city. If you need a ride, you can just check Anycabs.co.uk for London taxi cabs. This spares you from the trouble of looking for cab companies to call. Any Cabs is like a one-stop website where you can book your minicab, check different cab companies, and compare taxi prices. Using the site is very easy and the best thing about it is there are no charges! Yes, looking for cabs is free on the site. Just enter your route and you will easily receive information on pick-up times and price comparisons. 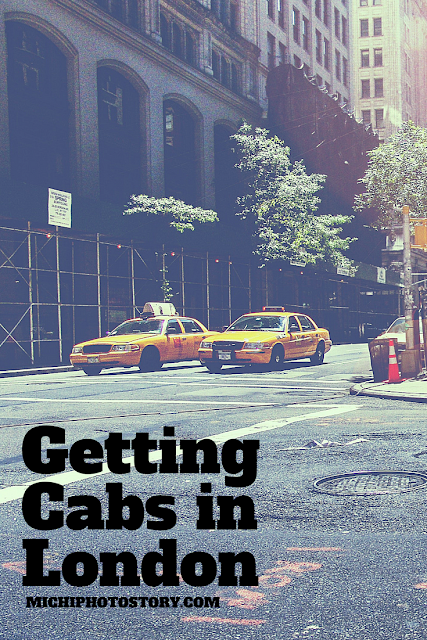 The site will help you choose which taxi cab to book. So, if you want to enjoy London, www.anycabs.co.uk can definitely help you. It will save you time and money because you can get the nearest and cheapest cab. One other thing: if you accidentally leave your stuff inside the taxi cabs, the company can return it to you! For those who love to travel, I’m sure that you are familiar with hotel’s complimentary stuff and most of these items are toiletries such as soap, shampoo, toothpaste and lotion. I’m one of those people who take advantage of free stuff because I know that it is included in room rate. This stuff is very handy if ever we have an overnight trip because it is very light. We can also use it for our visitors, just in case they forgot to bring slippers or toothbrush. How about you? Do you love taking free stuff or you just leave it behind. When I was a kid I used to watch Doogie Howser M.D., if you were born in the 80’s I’m pretty sure you are familiar with the series. At the end of the day, Doogie will type his entry on his personal computer diary while I write my feelings, memories and random thoughts in my diary. But I stopped writing when I graduated from college and started working. Year 2008 when I became a mom, that time I want to have a personal blog to document my son’s development and milestones. I also want to share my journey as a wife and mother but like I said, I have no idea how to create a blog, I said it here numerous times that my first post in Wordpress was also my last post because I find it too complicated. Last year, I discovered Blogger and I created Michi Photostory, where I share pieces of my life. 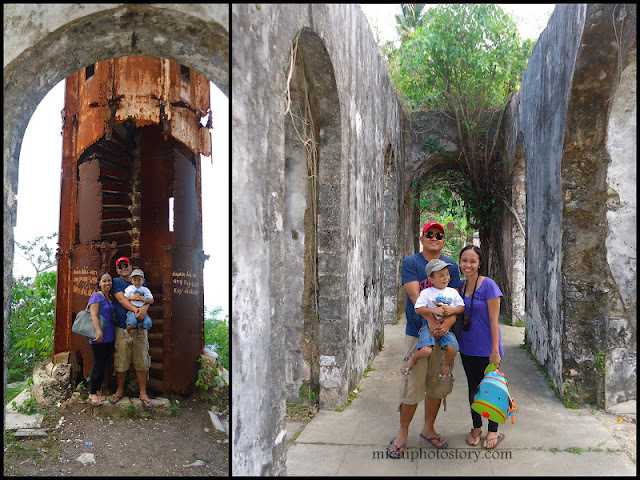 From that moment I enjoy writing and sharing my experiences as a mom and wife, our travel trips, food trips and even my random thoughts. I have no idea that blogging could be fun and therapeutic. Blogging became my “me time” and I’m happy writing my post at the same time reading other blogs. 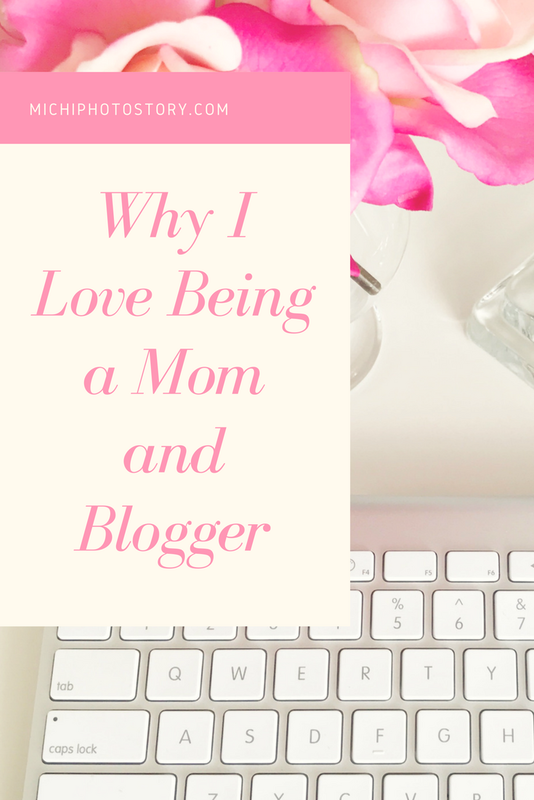 Some people may never understand why I blog but I have my own reasons why I love being a mom and blogger. I love being a mom because I know not all women can bear a child and I’m really thankful that God gave me a chance to become a mother. My son completes me; there are things that I’ve discovered when I had him. I never thought that I could give up my career and be a full time mom. 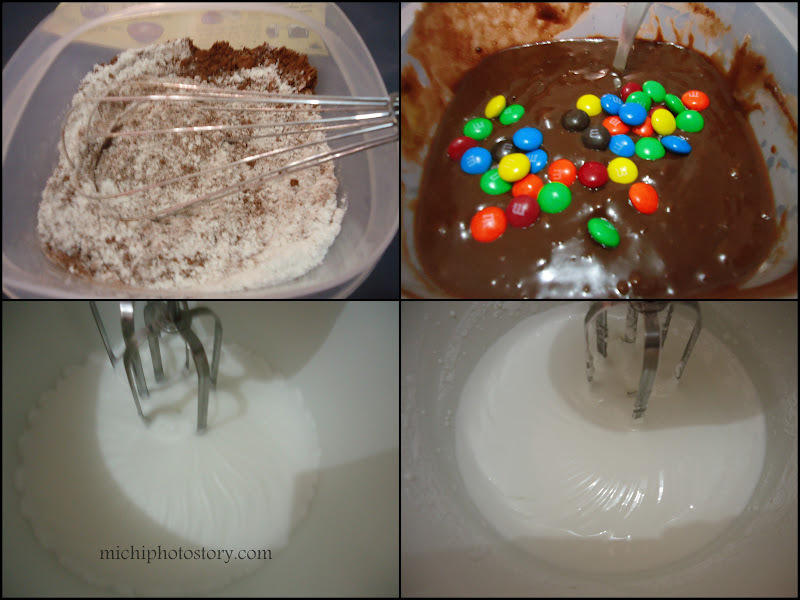 I never thought that I could find joy and satisfaction being a domestic goddess. The journey may not be easy but I still love taking the path of motherhood. Being a full time mom gives me more time to blog, aside from my son, this blog became my baby. I have my own dreams and wish lists too for this blog. I’m happy when I see new followers, comments, thoughts, suggestions and feedbacks. 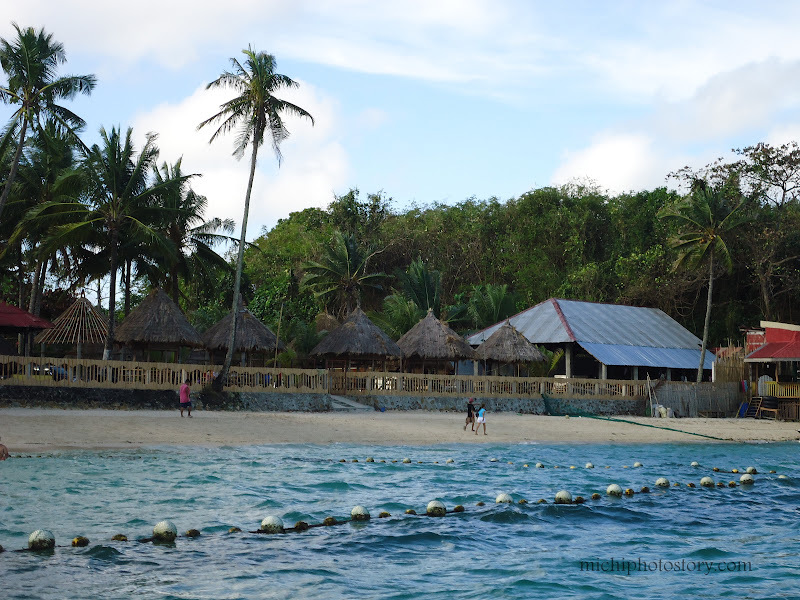 I enjoy blog hopping because I learned a lot, it allows my mind to travel, to eat and to feel their experience. It allows me to see the world even at the comfort of my home. Being at home for almost 24/7 is not easy because you have less time to socialize but I don’t mind because I gained online friends through blogging. I have more reason why I love being a mom and blogger but I don’t want to bore you reading my post. 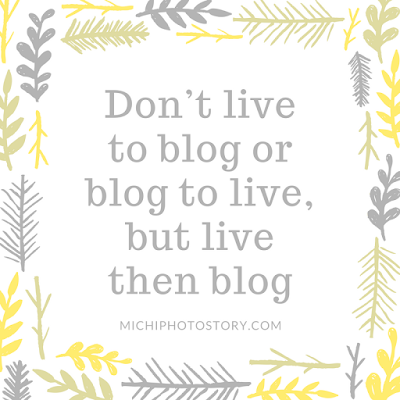 But before I end this post, I would like to share this “Don’t live to blog or blog to live, but live then blog”. I’ve read it somewhere but this is a constant reminder to me, mommy duties first before blogging. I know that there’s no place like home but if there is one place that I want to live in aside from my country that would be Norway. 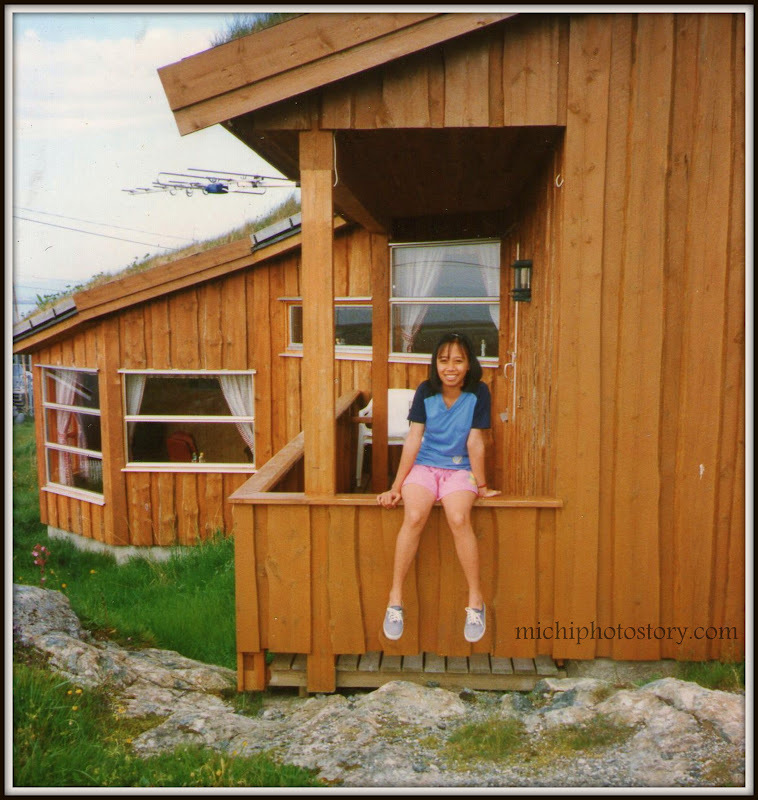 I’ve been in Norway several years ago, I was fortunate to have a three months’ vacation and indeed it is one of my memorable vacations. 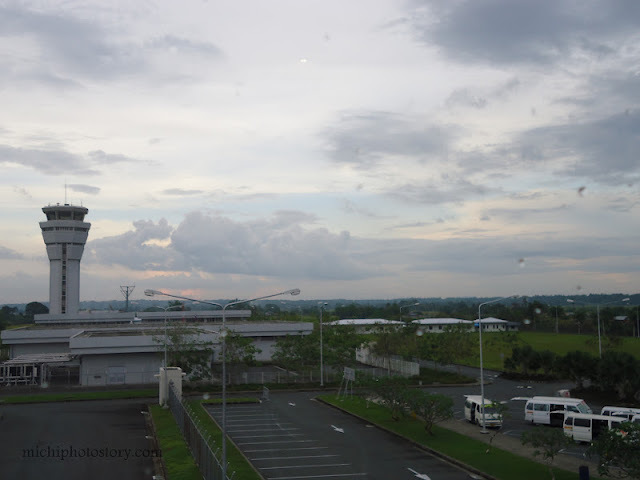 Norway is very far from the Philippines, a total of 36 hours flight including layover; we took 3 international planes, 1 domestic plane, and 1 ferry boat just to reach my mom’s place. The travel is really long but it is all worth it because Norway is really an amazing country. 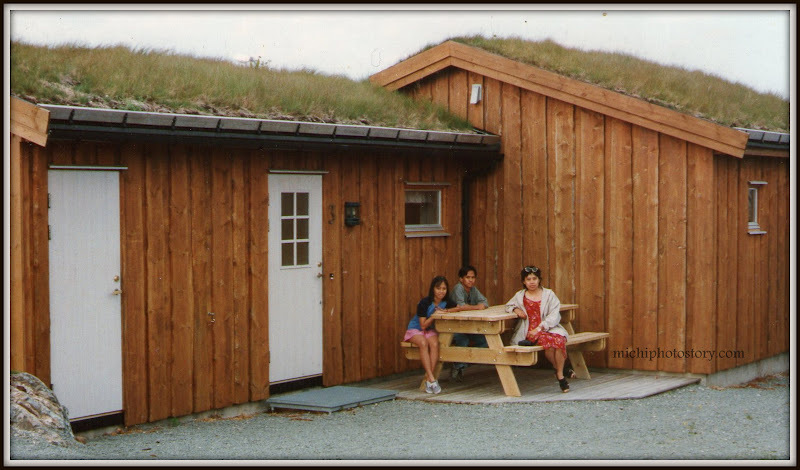 If you love to commune with nature, this is the best place because Norway offers various scenery. You can see rocky wilderness, valleys, mountains, forested hills, and waterfalls. Did you know that most of the world’s greatest waterfalls are found in Norway? My three months stay in Norway is really a grand vacation because I was able to experience boating, fishing, picking mussels, nature tripping and many more. We were able to visit few cottages which my mom’s friend owned. So if you want to spend your holiday in Norway, you don’t have to worry because you can find peace in cottages in Norway. You can also check holiday homes Europe for a list of holiday homes not only in Norway but all over Europe. Happy Golden Birthday to you! It was sad that we can’t be with you on your special day for obvious reason, plane ticket is so expensive and I guess its 3 years’ worth of our house amortization. =) Thank God for technology because I can greet you in my post. I just want to let you know that I am really grateful that God gave me a mom like you, though we’ve only been together for seven years and we never really grow up with you. We are still thankful because we know that across the miles you are always there to support, pray, care and love us. I know you’ve been through a lot and if there’s one story na pang MMK (Maalala mo kaya) that will be your story. You suffered and sacrificed a lot just for us so even though we we’re not able to live with you, we’re still happy for you because you truly deserve to be happy. Growing up without a mom beside me is not easy but it also taught me how to be strong, independent and responsible person. I always think that you’re not with me so I have to learn to fight my own battles, run my own race and achieve my dreams. 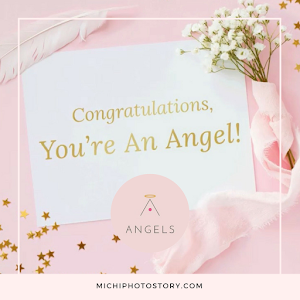 I salute you for achieving all your dreams; you got your degree while taking care of our youngest sister and at the same time working to support us. When I became a mom, you serve as an inspiration to me because I know that you had 3 kids at the age of 20 without nanny and househelper and I only have one son so I know I can do it too. You taught us to have good relationship with God so when life is so tough, when we’re about to give up and we can’t run to you for help because of the distance, we can always call God to strengthen and comfort us. I’m proud to be your daughter and I hope that I can be like you. I want to be a good mother to my little one and I hope that I can raise him the way you raised us, they say that the first 7 years is the most important phase and I hope I’m on the right track. Happy birthday and I really pray that you will have more birthdays to come because I can’t imagine the future without you! 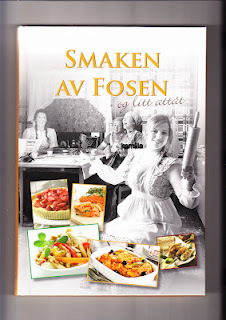 Jeg elsker deg! 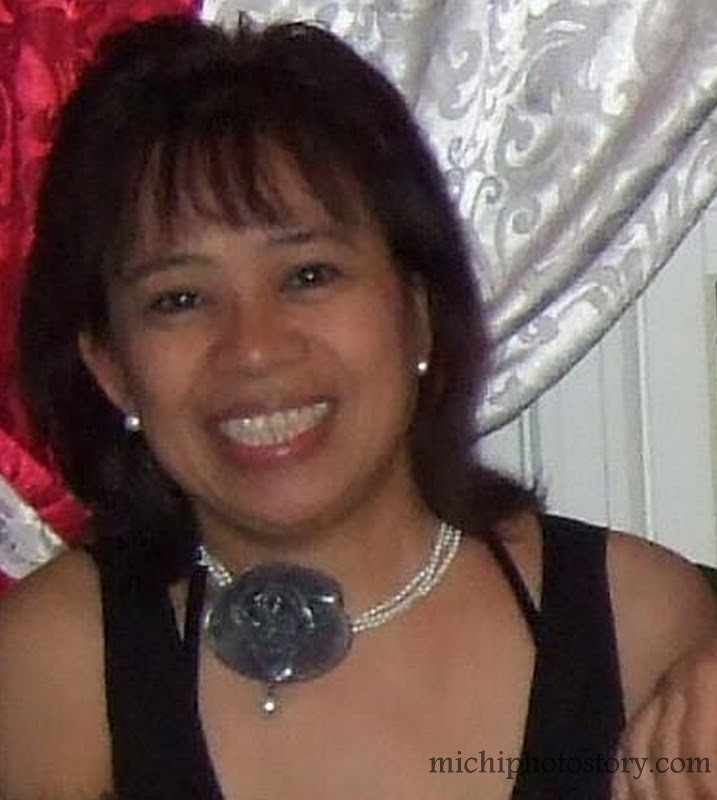 Btw, my mom has a blog too “Joy’s notepad”, you can click here to visit her site and if it is not too much to ask, can you also leave message and greet her. Thank you! 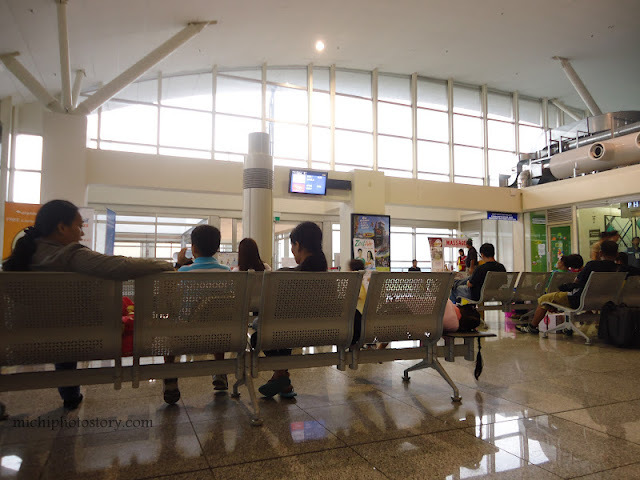 I rarely feature airport, in fact Iloilo airport is the second airport that I will post in my site. Well, I just want to share these photos with you. I don’t mind paying P200 for terminal fee if the airport has good facilities and amenities. 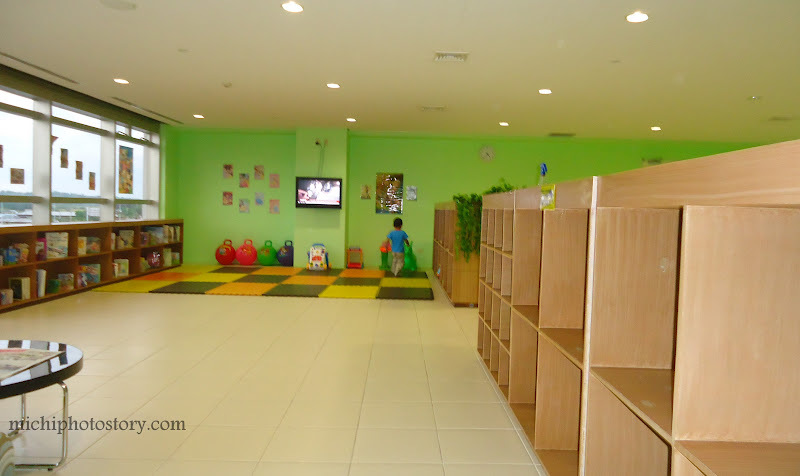 Look at the toddler’s area; it is clean, spacious and homey. I didn’t mind if our flight was one hour delayed because my son enjoyed playing here. 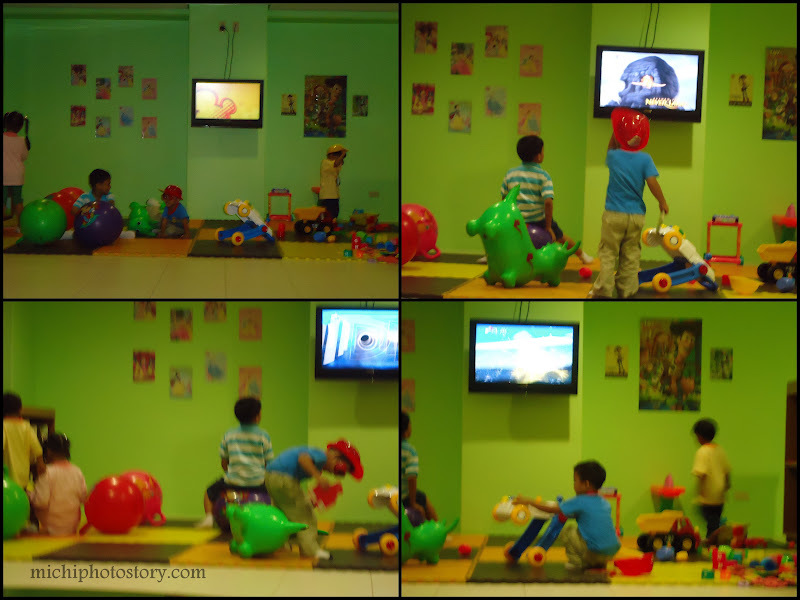 How I wish, all our airports have toddler’s area because it is really important especially for kids who hate waiting. dito ko nakaupo habang nagbabantay! This is supposed to be my Day 2 itinerary but I have to move it to our last day and cancel my day 4 itinerary which is one day tour in El Dorado Waterpark. 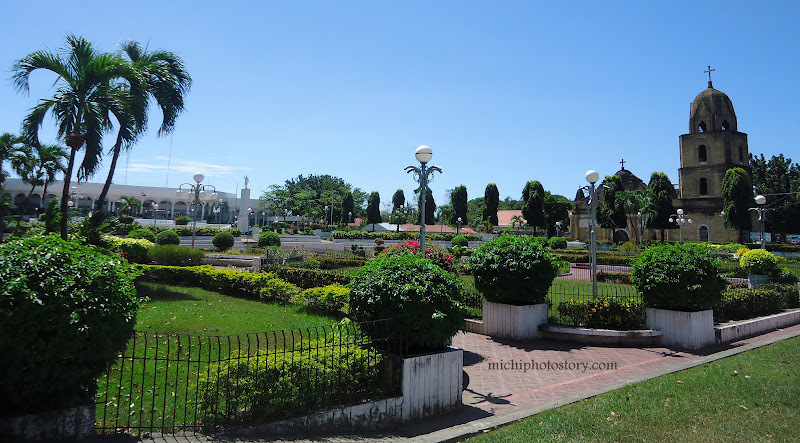 When I booked our Iloilo trip, I invited a friend if she wants to come with us but she said “anong meron sa Iloilo? Wala naman yata interesting sites dun”. 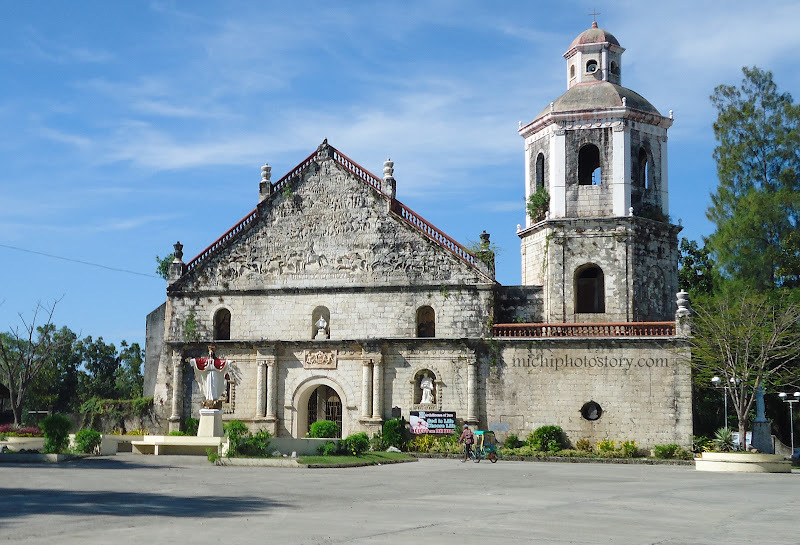 Well, Iloilo is not known for tourist spots but you can have a side trip in Guimaras or visit old churches. 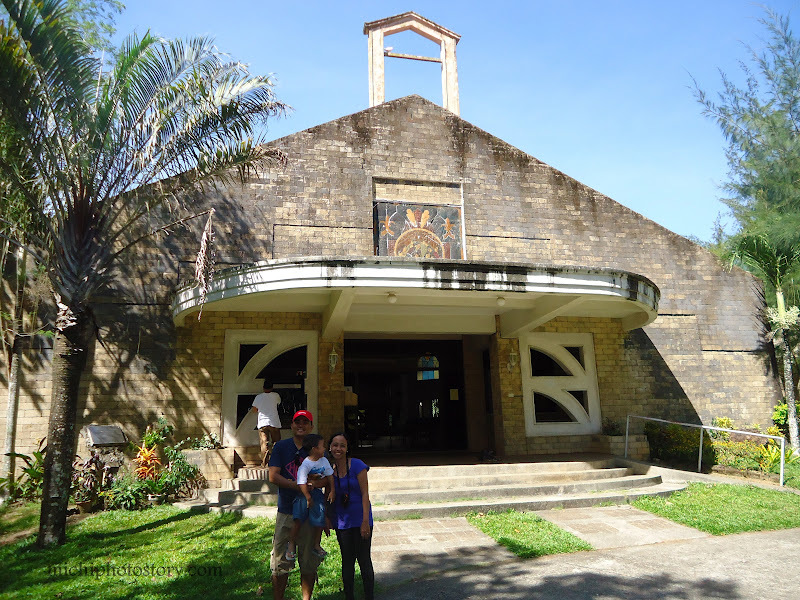 Though I’m not a Catholic, I enjoyed visiting different churches because not all churches look the same. Each church has its own beauty and story to tell. At 8AM, we started our Church Tour; we just took San Joaquin Jeep. First stop is San Joaquin church. 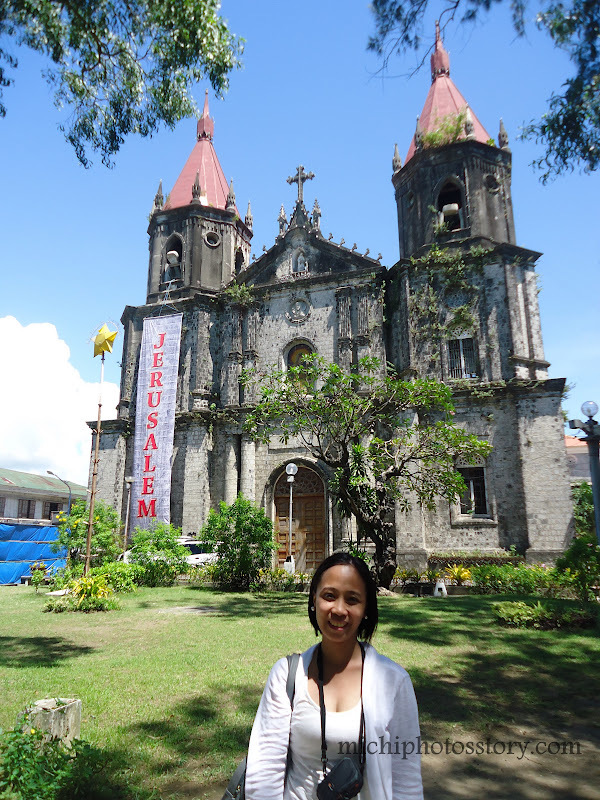 It took 1 hour and 30 minutes before we reached the church. Biyaheng-langit pa nasakyan namin, I was really scared that time but thank God, we’re safe. Hubby: Hon, pati sementeryo kasama na sa itinerary natin. 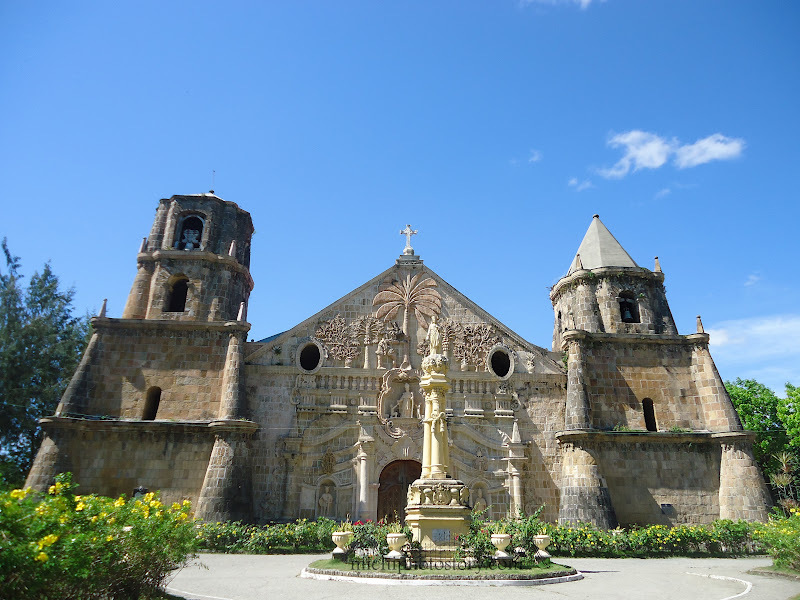 One of the four Baroque Churches of the Philippines inscribed in 1993 on the World Heritage List pursuant to the 1972 UNESCO Convention concerning the protection of the World National Heritage. Construction of this church began in 1787 while fray Francisco M. Gonzales D.S.A. 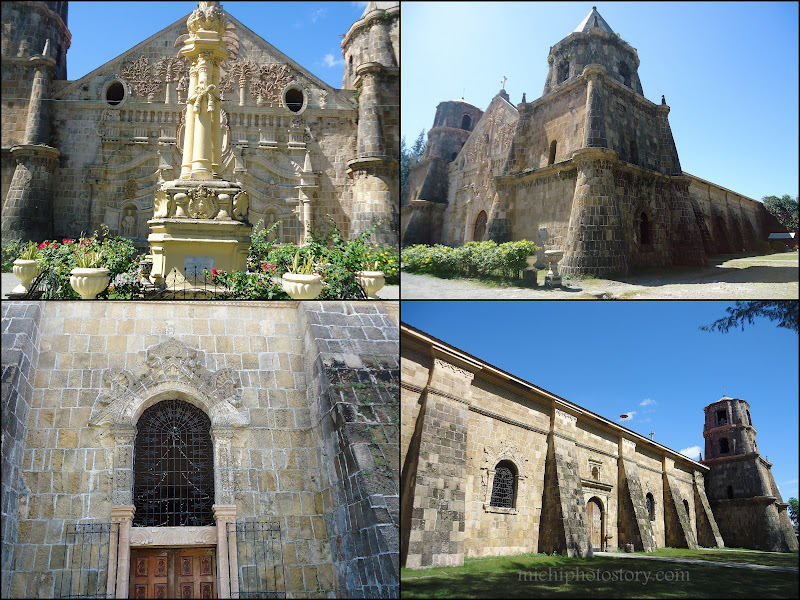 was parish priest of this town and Domingo Libo-on was Gobernadorcillo. The church was completed in 1797. It served as fortress against muslim raides. 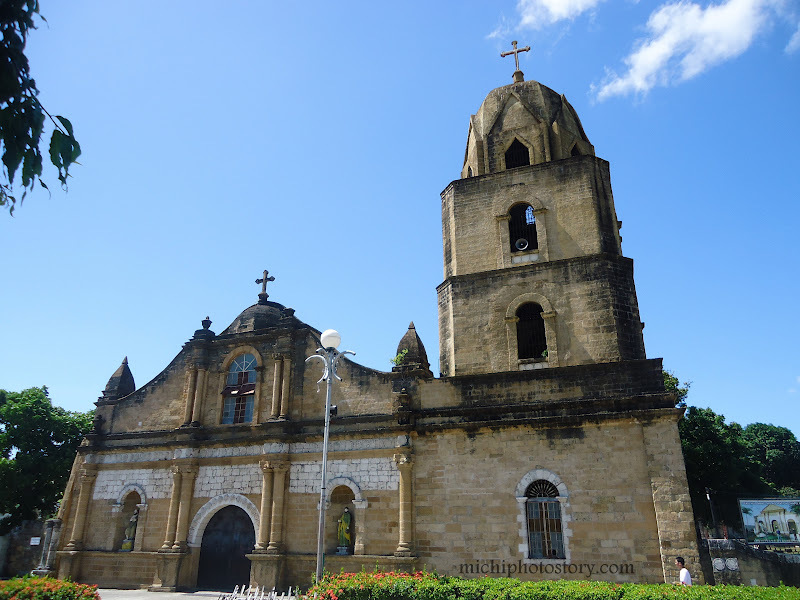 In 1898, during the revolution, the church was destroyed. 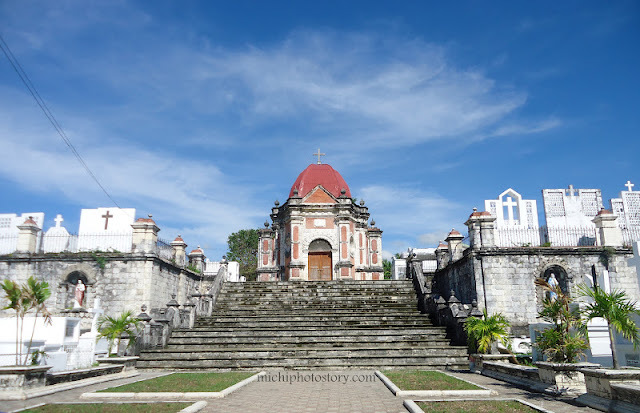 Subsequently rebuitl, it was damaged by fire in 1910. 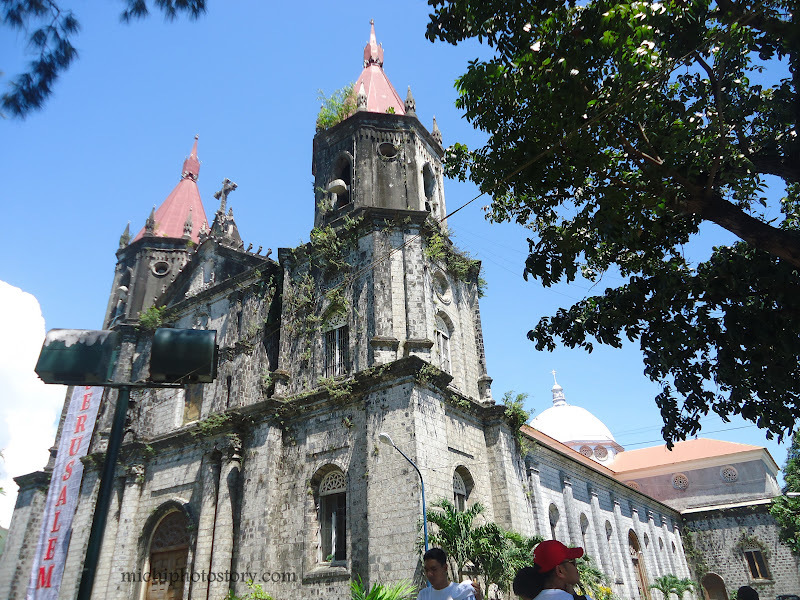 It was badly damaged by earthquake in 1948. Restoration work began in 1960 and completed in 1962. During the term of office of most Rev. Jose Ma. Cuenco, D.D. Metropolitan Archbishop of Jaro, of Msgr. Gernando S. Javillo D.P. 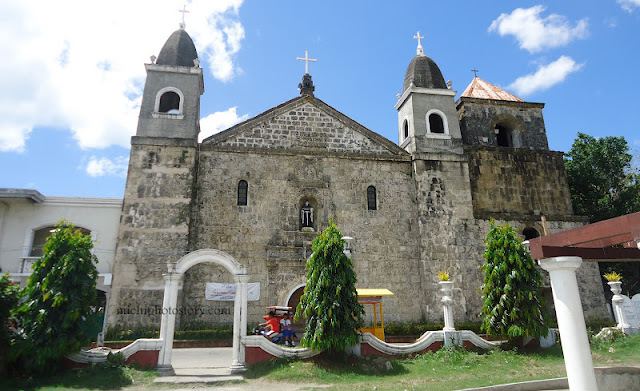 parish priest of this town and Dioscoro Mueda, municipal mayor. End of our church tour. As I mentioned earlier, we took San Joaquin jeep to reach San Joaquin Church then from San Joaquin church we travelled back to visit the other churches. 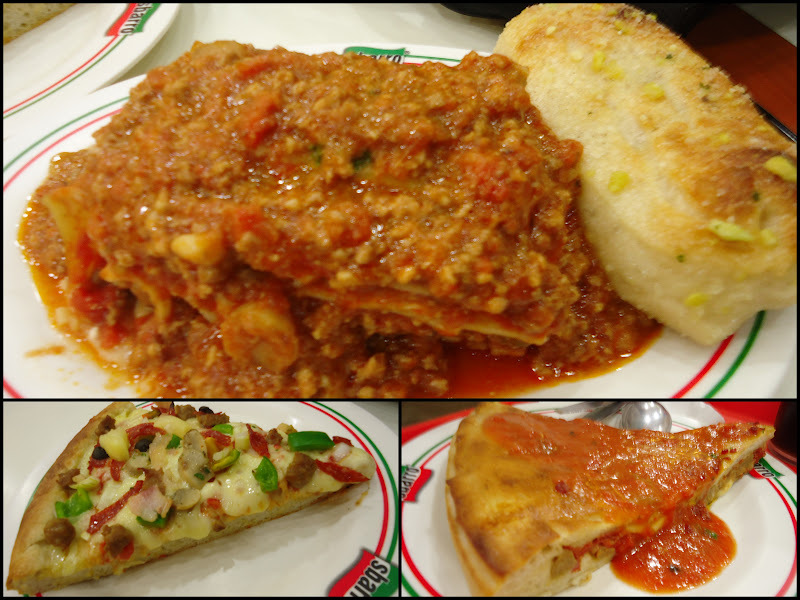 We’re supposed to eat at Afriques restaurant but we can’t find it so we just went to Robinsons and we had lunch at Sbarro. 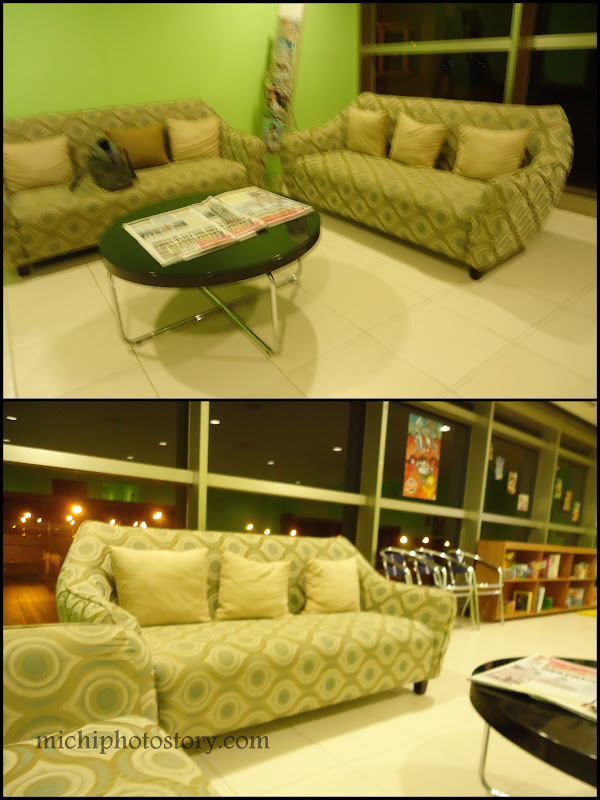 =) We stayed at Robinsons till 4PM and off we went to airport, taxi fare is P500 (fixed rate). I’m pretty sure that we are all aware that our environment badly needs our help; we can no longer deny it because of climate change, global warming and different catastrophes that we’ve seen and experienced. Sadly to say that not all people are practicing green living, I guess green living should no longer be a choice but it is a must for everyone. If we really want to improve our environment condition we should act now not only for our own benefits but for future generations. 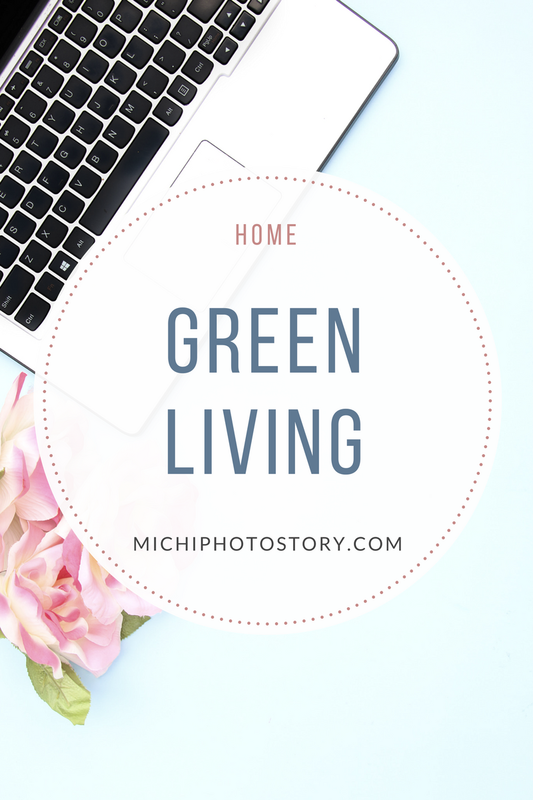 Green living is eliminating materialism, conserving energy, reducing waste, lowering consumption, recycling materials, supporting green projects and using organic products. I’m trying my best to live a sustainable life and I’ll be sharing my little ways in helping our environment. As much as possible we try to reuse some stuff in order to reduce waste and of course to eliminate buying new stuff. 1. Plastic shopping bags use as a trash bag. 2. I keep all paper bags for future use. 3. I reuse bottles and containers of liquid soap, dishwashing soap, bathroom cleaner, and many more. I just buy refills. 4. I reuse gift wrapper and gift boxes. 5. 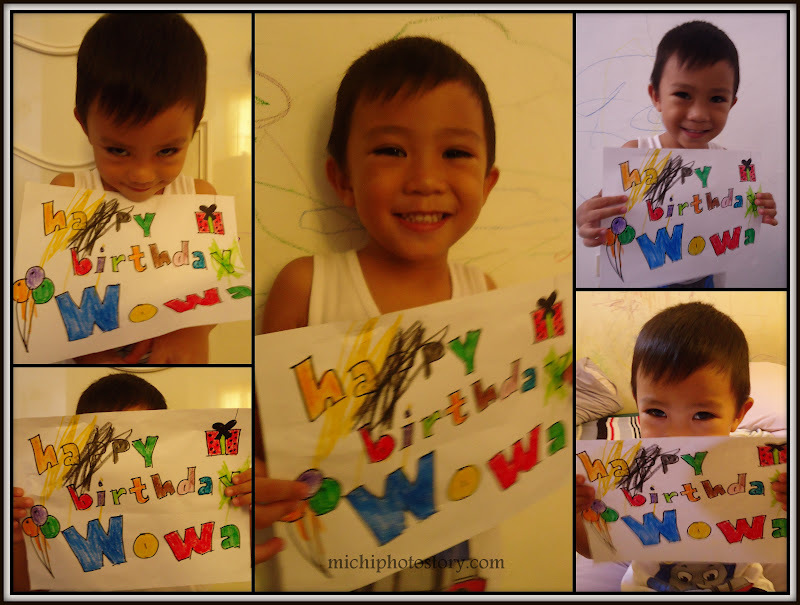 I keep all paper bills, e-ticket, itinerary and other papers that we can use for my son’s artwork and scratch pad. I always make a scratch pad, see my sample here. Reducing our waste and practicing minimalist living. 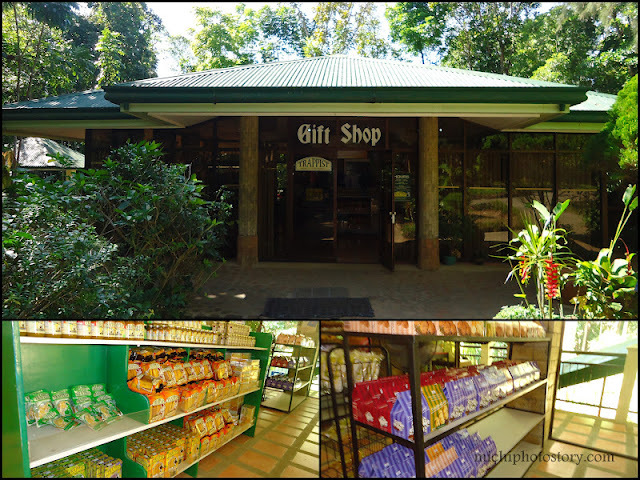 I segregate our trash, bottles, plastic containers, boxes, newspaper and any stuff that can be sold in a junkshop. We always go to the junkshop every month or if we already have more stuff to sell. We earn a minimum of P40 and our highest earning so far is P160. All earnings go to my son’s savings account via online banking. So in one year, he gets more or less P1000. I always have one in my bag. We are lucky that our city is very serious in helping our environment so we say no to plastics bags and straws. Organic and natural products are now everywhere, I’ve tried Greencow, Ilog Maria and Human Nature products. 4. Using a rechargeable battery, CFL bulb, LED Christmas lights, energy saver, and other energy efficient appliances. I’ve been using electronic billing for our credit card, postpaid lines and I even stopped the SOA from our bank. Since there is no passbook, the bank sends monthly or quarterly Statement of Account so I request to stop mailing the SOA since I can check my balance online. 6. If you have the budget, invest in solar panels so you can save more. 7. Lastly, always remember this when you travel. These are my little ways in helping the environment if you have additional tips, feel free to share. It is no secret here that I’m a full time mom, I resigned when I got pregnant, my pregnancy is not easy and we’re afraid to lose the baby again so I resigned. Of course, NO WORK = NO SALARY, so I searchedthe internet for possible opportunities if I can make money online. I started with my online shop using Multiply (does not exist anymore), I sell some whitening soap, organic products and even pre-loved stuff of my son. I stopped this business when we moved to our new house. I was a ghost writer for 8 months but I also stopped because it’s too stressful for me. 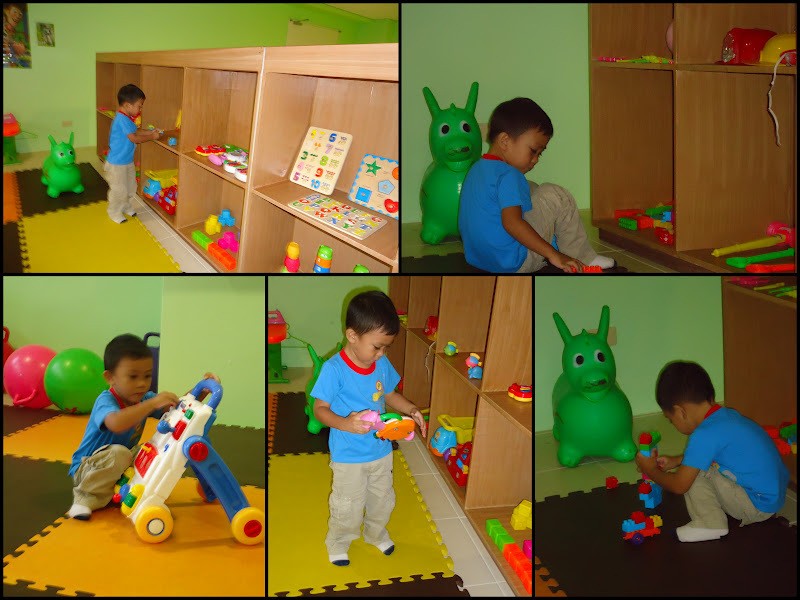 It is not easy to write articles, take care of my son and do household chores. Like I said before, stress is not good for my health. I also noticed that I spent more hours in front of my computer than playing with my son. But if you like writing, this is a nice way to earn, all you need is your laptop, internet connection and writing skills. Yes, you can earn money by just answering surveys. Everytime you answer survey, you will earn points and once you reach the minimum, you can exchange your points to cash, gift card and more. One week after I resigned, I created this blog and the rest is history. 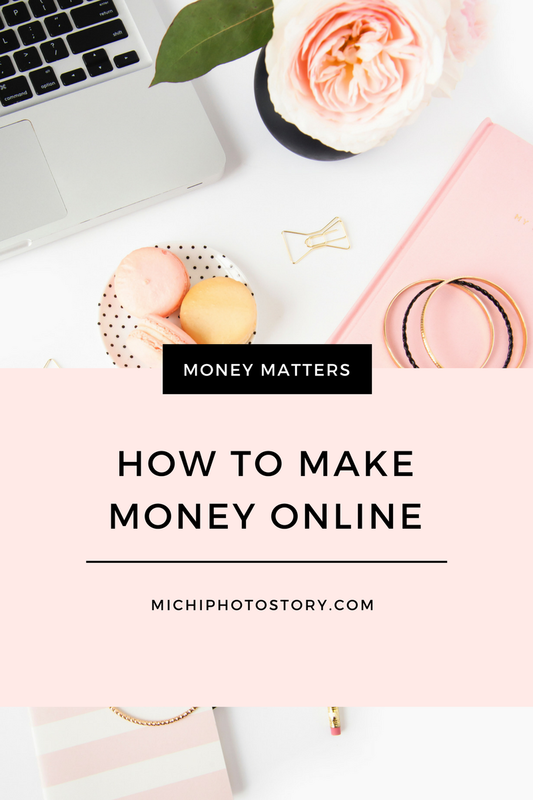 I know that I can make money through blogging because I know someone who is earning big time but I’m still on the process of researching and learning. As of now, I’m happy sharing pieces of my life in my blog but of course I’m also happy when I received email for some income opportunities but like I said it is not that much. So if you know how to make money online, I’d love to hear that. I tried paid to click services but unfortunately, I did not get anything so beware, there are scammers. Michi Photostory just celebrated its first year anniversary last February and within that year some people asked me how to create a website even my family asked me this question. I admit I’m not an expert when it comes to this topic; the truth is I did not know anything when I started this blog. But with the help of some research, I was able to create my own blog. I first signed up with Wordpress but I find it too complicated for me so I switch to Blogger. Blogger is more user-friendly so I stick to this provider. But I'm still contemplating if I should try Wordpress because I have more options and opportunities to improve my site. 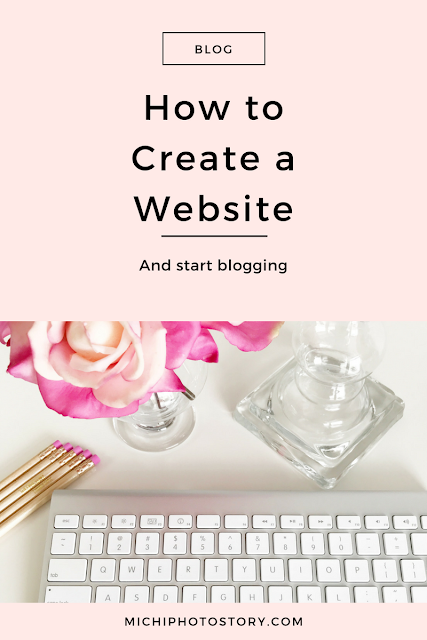 Once you choose your blogging provider, all you have to do is sign up and think about your website name. Sometimes this is the difficult part because most of the time, the name is already taken. Some website owners, use their personal name for their domain. Another idea in choosing a name is, you have to consider your blog niche, are you creating a personal, lifestyle, travel or food blogs?. Make sure that your name will blend your niche. Then choose your theme and arrange your layout. 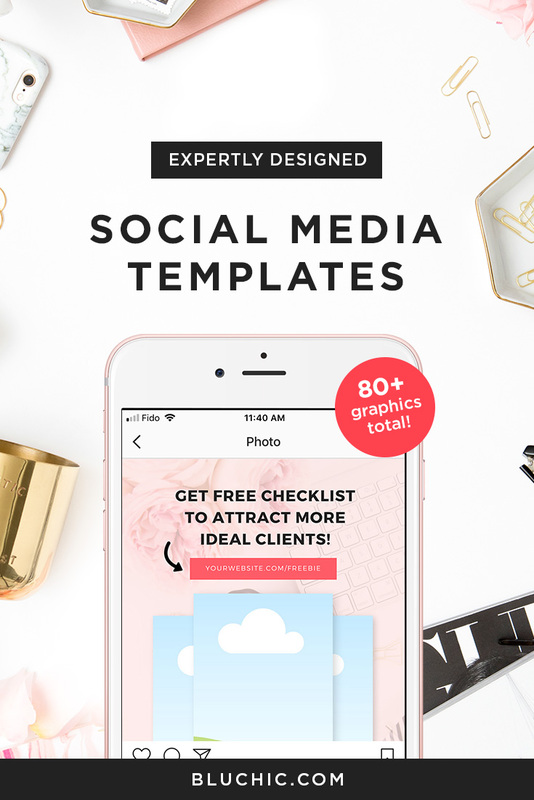 If you are just starting out, you can choose from free themes or if you want you can purchase a theme design or hire a website designer to do the work for you. Don't worry you can have a nice blogger theme for as low as $15. 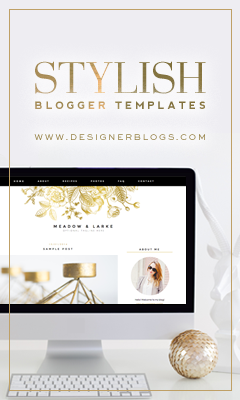 You can check the $15 Blogger Templates here. If you want a Wordpress theme, check it here. Everything is so easy and you don’t need to be an expert to start blogging. The exciting part is creating your first post. 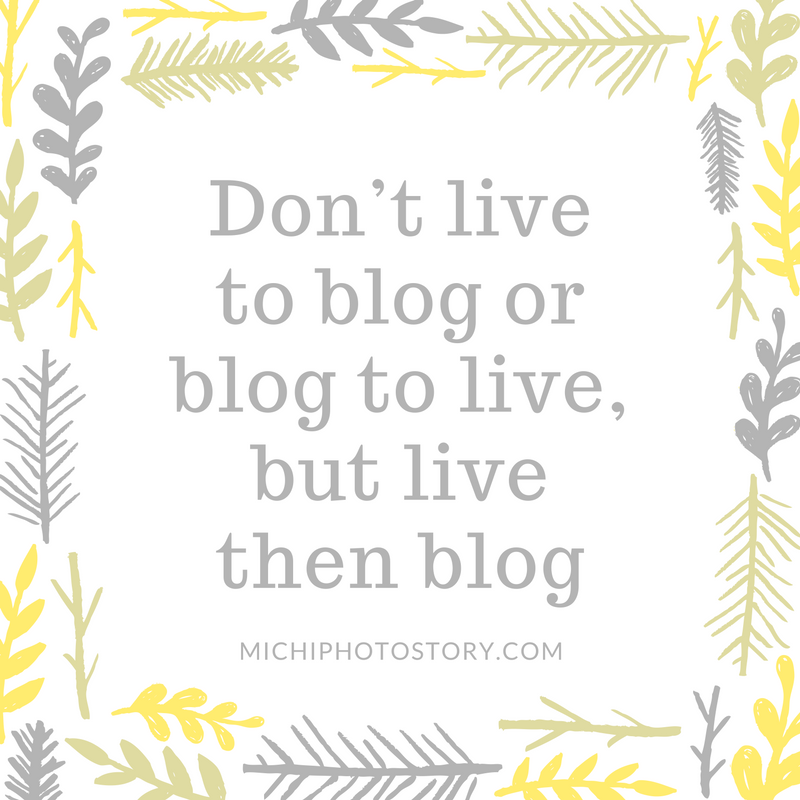 If you want to be organized, have a blog planner. This will help you in organizing your blog post, social media and tracking your blog opportunities. ** This post contains affiliate link/s. If you decide to make a purchase, I will earn a commission at no additional cost to you. Thank you for your support. I have WOW (Wealth of Wonders) Philippines book, my mom gave it to me year 2005 and from that moment I wanted to visit Guimaras, according to the book, Guimaras is a dazzling island of sweet mangoes. I love mangoes, either unripe or ripe so it is really one of my goals to taste the sweetest mangoes of the world and when I saw the P1 sale of Airphil Express last June, I didn’t think twice because it’s now my chance to visit Guimaras. It is the 1st P1 sale that I booked. We’re supposed to stay in La Puerta Al Paraizo, one of the new resorts in Guimaras but I changed my mind so we just had one sweet day in Guimaras. I had a difficult time in deciding whether to contact a driver/tour guide or I will just go to tourism kiosk when we get there but to avoid the hassle, a week before our trip, I contacted one driver/tour guide. At exactly 7AM we left One Lourdes Dormitel and took La Paz Jeep (P7.50) to Ortiz Wharf. Then I bought the ticket (P14). Travel time from Ortiz Wharf to Jordan Wharf is around 15 to 20 minutes. Our driver/tour guide was already there waiting for us, I just informed him the name of our boat. 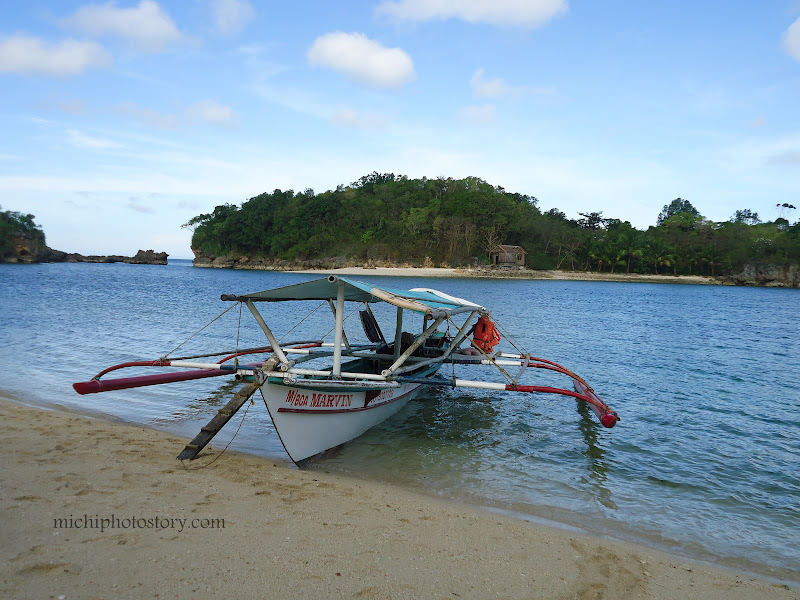 First stop is Raymen Beach Resort for our Island Hopping; boat rental is P400 for the first hour and P150 for succeeding hours. Next is Natago Beach, (donations) this is where we stayed long. 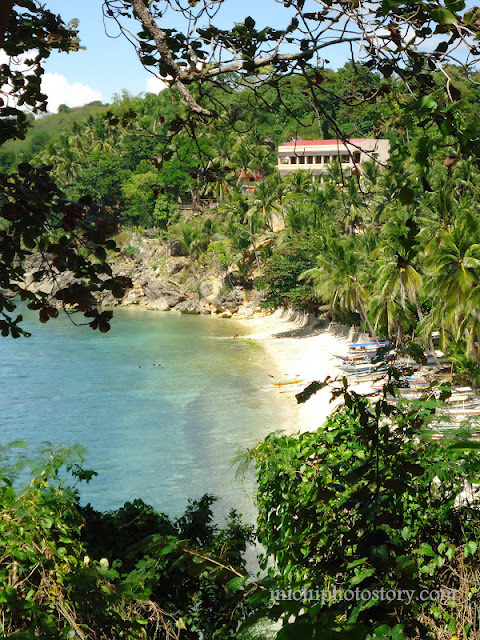 Natago Beach is a private resort owned by German and Filipino but the sad part is they are both dead. 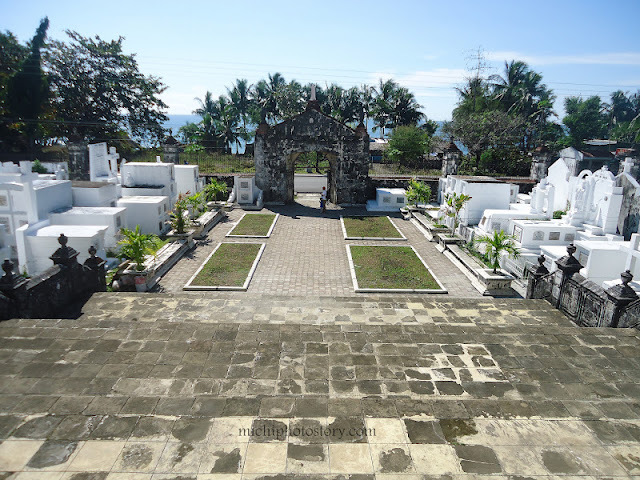 German died year 2007 and Filipino died year 2009. They were supposed to stay here after their retirement but they never enjoy the place, Sayang! Lucky for us, we’re the only people on the island but unfortunate for me because I can’t swim, red flag. So here I am, watching and taking pictures. Anyway, I’m happy when my two boys are happy because I know they love to swim. I was a little bit sad because we can’t go to SEAFDEC and Ave Maria Islets because it was low tide. Waahh! 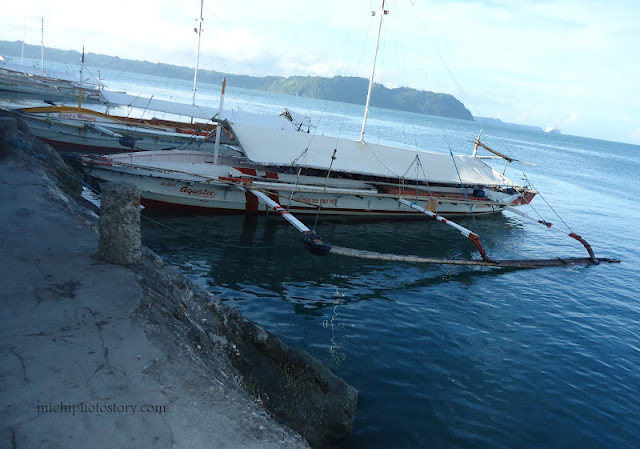 I didn’t know that I should also check the tide if only I know this information I would schedule our island hopping after our land tour. So we went back to Raymen Beach Resort, we paid P20 for the shower room. 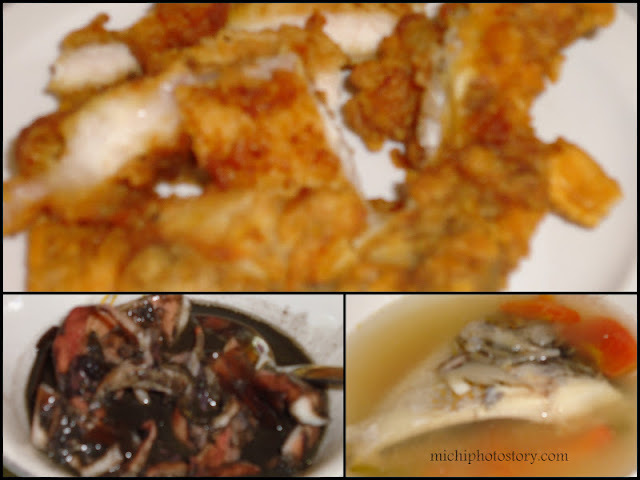 I’m not expecting any fancy food and fast food in Guimaras so we had our lunch in carinderia. Then we went to Guisi Lighthouse, expect for rough road and bumpy ride. This is already the old lighthouse; few meters from here you can see the new one. 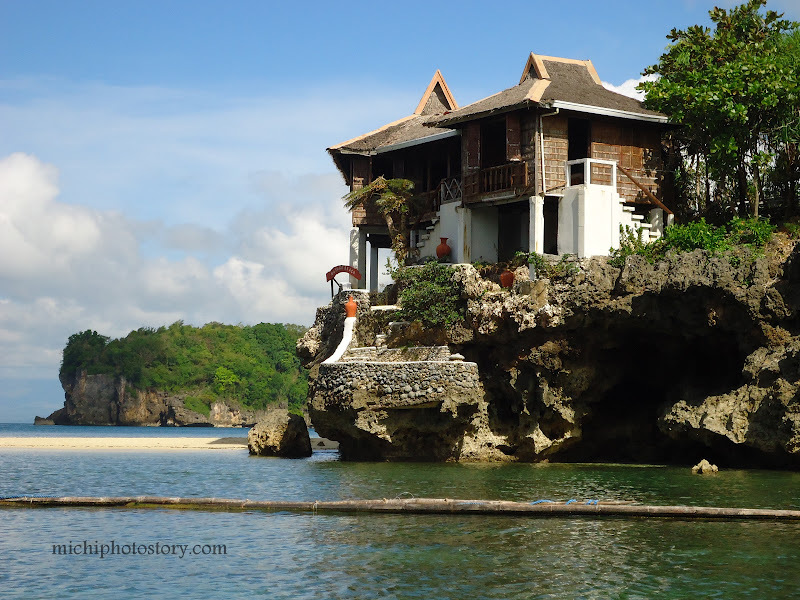 This is the Kenyama Guimaras Resort; you can see this resort before you reach Guisi Lighthouse. 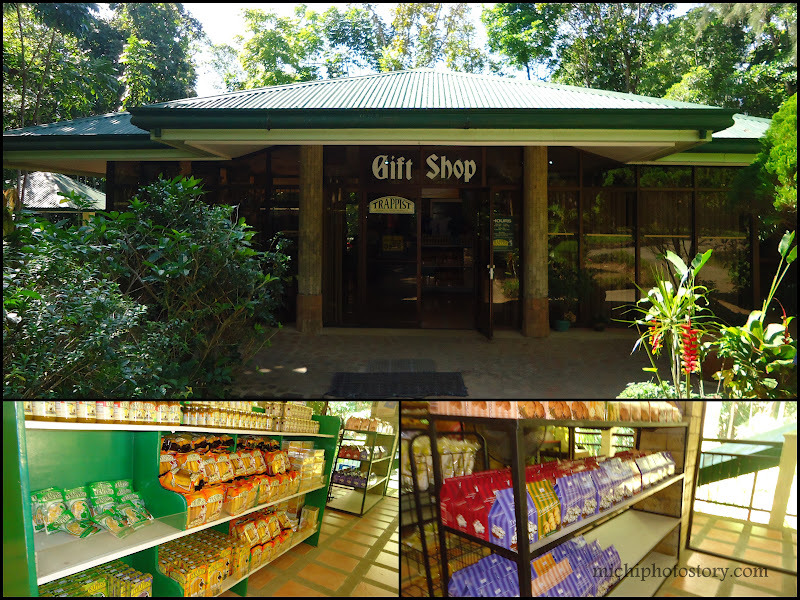 After Guisi Lighthouse, we went to Trappist Monastery and bought some pasalubong. 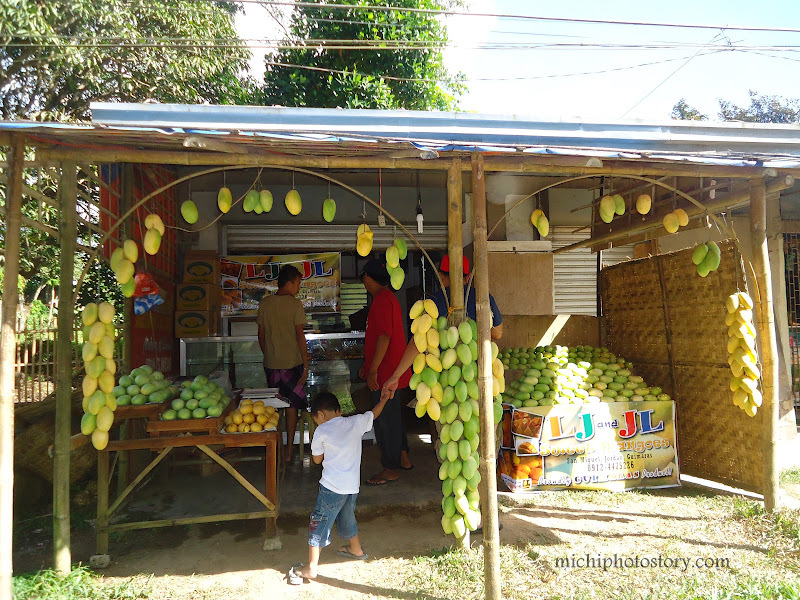 Of course, we won’t leave Guimaras Island without tasting Guimaras mango, P75 per kilo. 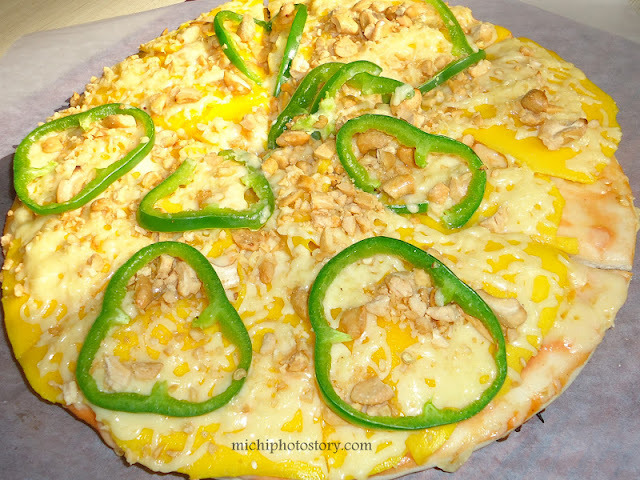 Then we had a quick snack at Pitstop, don’t miss this mango pizza. I love the combination of cheese, cashew nuts, mango and bell pepper. 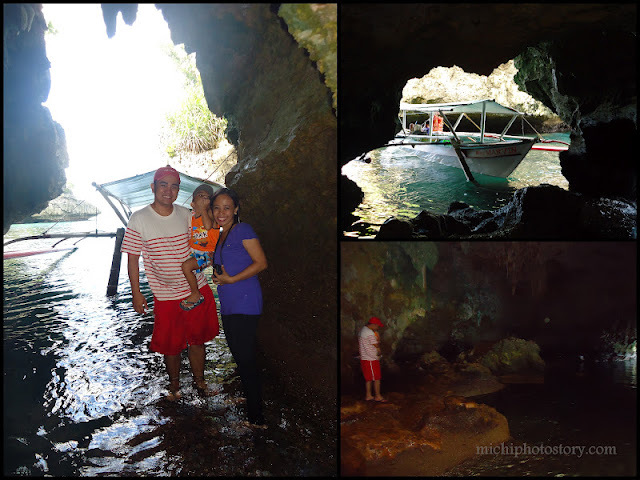 We skipped Roca Encantada because we might miss the boat going back to Iloilo. There is one unfortunate incident during our tour, we had flat tire and it took more or less 1 hour and 30 minutes before it was fixed. So naubos oras namin dun. But anyway, we still enjoy our day trip in Guimaras. 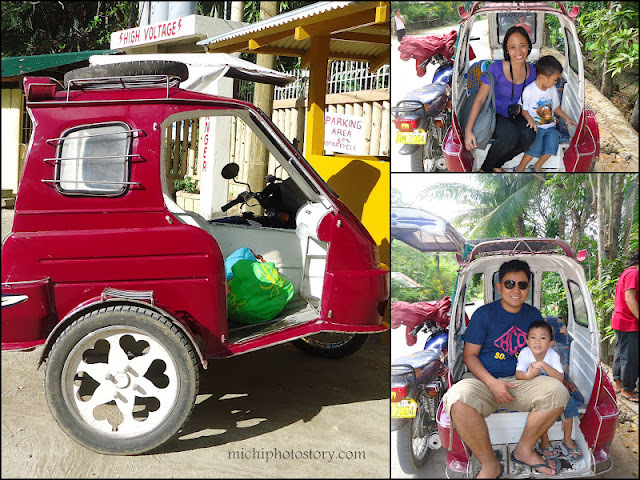 I will not recommend our driver/tour guide because I learned after our trip that you can hire tricycle for P1,000 to P1,200 (standard rate) and I paid P1500 excluding the tip. In fairness, he is nice naman but of course if you want to save some money, go for cheaper rate.